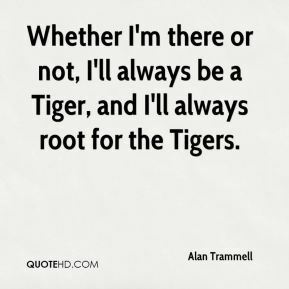 Whether I'm there or not, I'll always be a Tiger, and I'll always root for the Tigers. 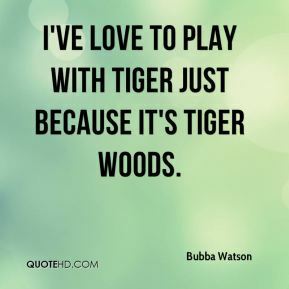 I've already played with Tiger! 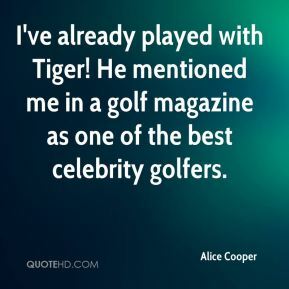 He mentioned me in a golf magazine as one of the best celebrity golfers. 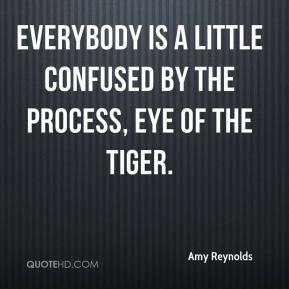 Everybody is a little confused by the process, Eye of the Tiger. 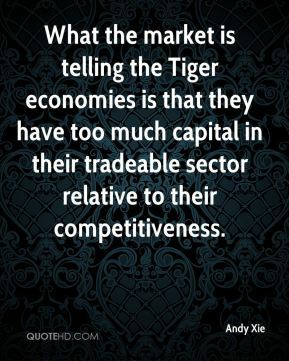 What the market is telling the Tiger economies is that they have too much capital in their tradeable sector relative to their competitiveness. 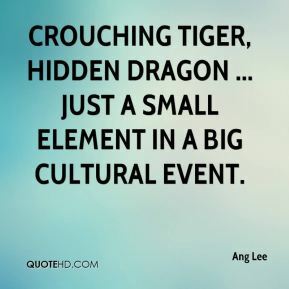 Crouching Tiger, Hidden Dragon ... just a small element in a big cultural event. 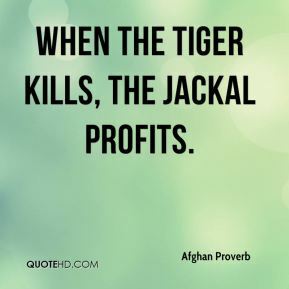 There was something like 20,000 guys involved in Tiger. 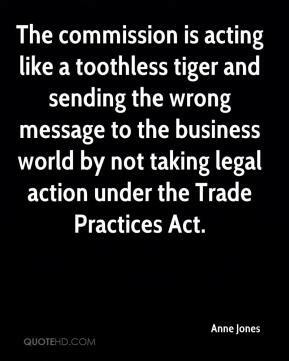 They started in January having these dress rehearsals, and there were two or three before us. One was Beaver; I forgot the other names. Does rough really matter? I don't know. 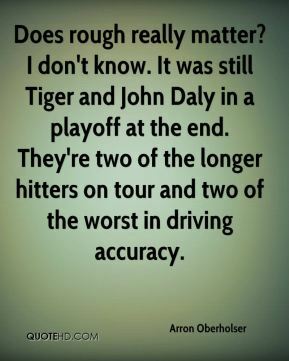 It was still Tiger and John Daly in a playoff at the end. They're two of the longer hitters on tour and two of the worst in driving accuracy. 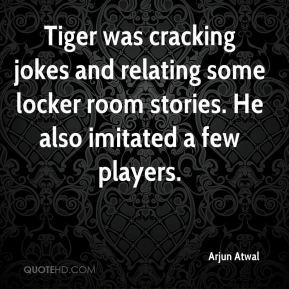 Tiger was cracking jokes and relating some locker room stories. He also imitated a few players. 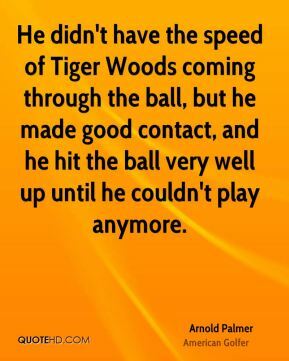 He didn't have the speed of Tiger Woods coming through the ball, but he made good contact, and he hit the ball very well up until he couldn't play anymore. This isn't a tennis match or golf. 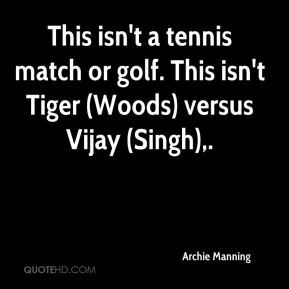 This isn't Tiger (Woods) versus Vijay (Singh). 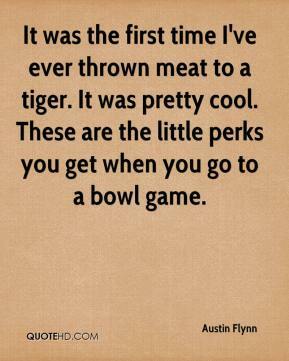 It was the first time I've ever thrown meat to a tiger. It was pretty cool. These are the little perks you get when you go to a bowl game. 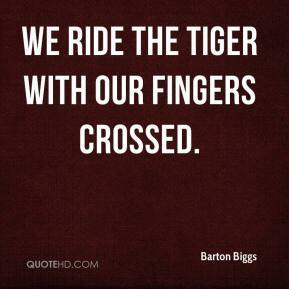 We ride the tiger with our fingers crossed. 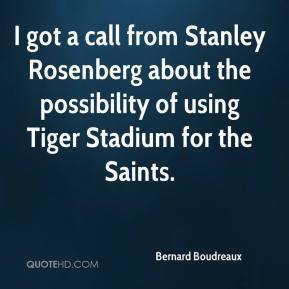 I got a call from Stanley Rosenberg about the possibility of using Tiger Stadium for the Saints. 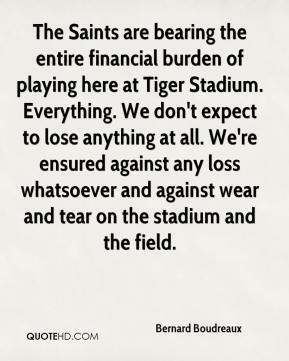 The Saints are bearing the entire financial burden of playing here at Tiger Stadium. Everything. We don't expect to lose anything at all. We're ensured against any loss whatsoever and against wear and tear on the stadium and the field. 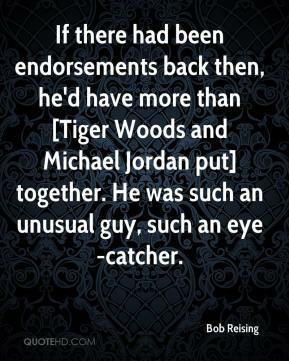 If there had been endorsements back then, he'd have more than [Tiger Woods and Michael Jordan put] together. He was such an unusual guy, such an eye-catcher. 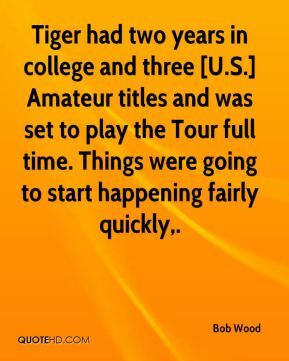 I always like to say he'd be another Tiger Woods. 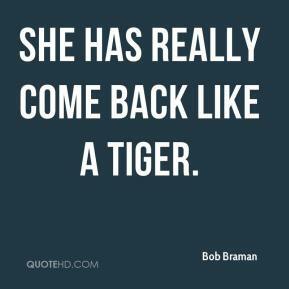 She has really come back like a tiger. 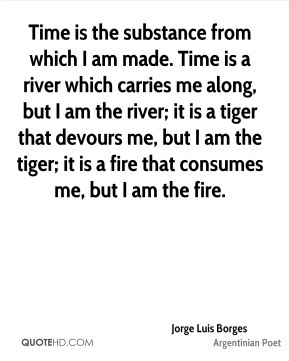 Tiger is the best athlete that this level of golf has seen. 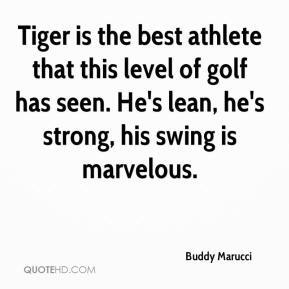 He's lean, he's strong, his swing is marvelous. 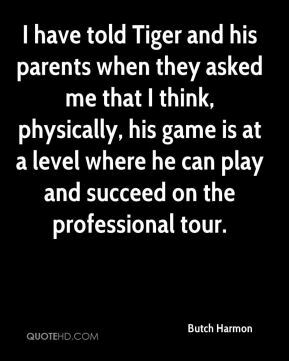 I have told Tiger and his parents when they asked me that I think, physically, his game is at a level where he can play and succeed on the professional tour.